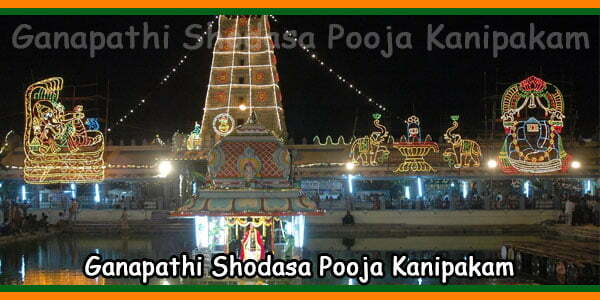 Kanipakam Sri Varasiddhi Vinayaka Temple is located in Kanipakam Village, Chittoor District in Andhrapradesh. 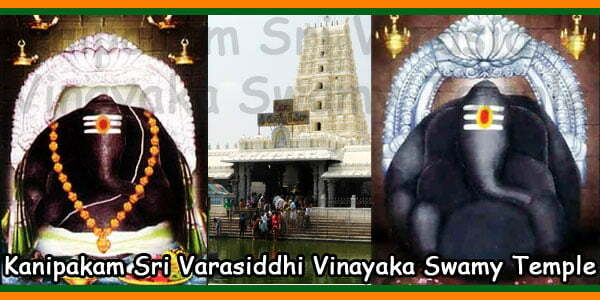 Sri Varasiddhi Vinayaka Swamy temple is famous for its idol Lord Vinayaka self manifested. Dedicated to Lord Vinayaka, this temple is one of Lord Ganesha’s most famous temples in the country. It is believed that the main idol of this temple, Lord Vinayaka, manifests itself; therefore, it is also called by the name of Swayambhu sri varasiddhi Vinayaka Swamy Temple. According to legend behind Sri Varasiddhi Vinayaka Temple, there were three brothers, each suffering from a deformity; one was dumb, the other was deaf and the third was blind. Despite the difficulties, they worked in a small field, farming for a living. However, one day, while trying to get water from the well using the Piccota system, they discovered that the well had dried out. As a result, one of the brothers started digging the well even more. During this process, an iron hit a stone formation. This filled the blood well. The brothers were surprised to see blood in the well, since they were witnesses to the sight; his physical handicaps were cured automatically. When the villagers learned the miracle, they tried to deepen the well. In spite of constant efforts, they could not do it because, at that moment, Lord Vinayaka’s idol had appeared, emerging from the well water. It is also believed that Lord Vinayaka’s idol in Kanipakam has grown daily. At present, devotees can see up to Lord Vinayaka’s abdomen and knees. Therefore, we see that the Lord’s idol has outgrown the armor or kavacham that was offered about 50 years ago by Smt. Lakshmamma. 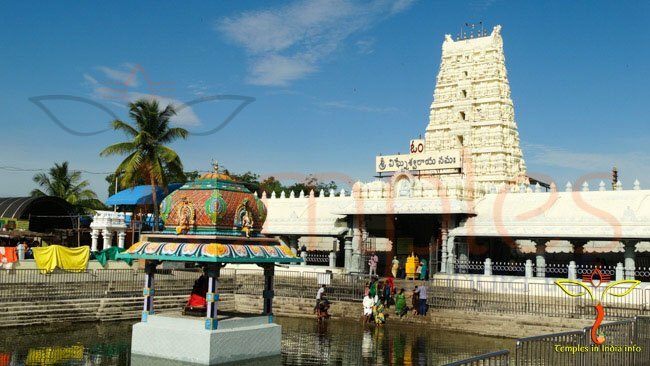 The history of the Kanipakam Vinayaka Temple dates back to the 11th century. It is said that the temple was built in the eleventh century, under the reign of Cholas by King Chola Kulothunga Chola. Later, the original temple was renovated and expanded during the Vijayanagara Dynasty in the 13th century. The temple is built on the banks of the Bahuda River, which also has a legend behind it. 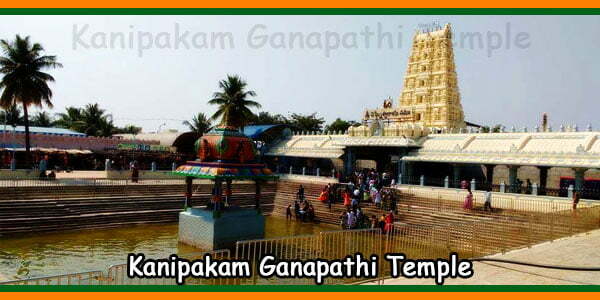 According to legend, Sankha and Likhita, two brothers went to Kanipakam to seek the blessing of the Lord Ganesha. However, during their trip, the young brother Likhita, unable to bear his hunger, tore a mango from the mango plantation and, despite the advice of his older brother, ate the fruit. Seeing this, the older brother informed the king, asking for the correct punishment of his brother for the sin he had committed. As a result, Likhita lost both hands due to the punishment she was given. Later, when the two brothers resumed their pilgrimage and continued to dive in the water of the river near Kanipakam, the younger brother recovered both arms. Since then, the river has been named Bahuda, which means human arm. According to another version of the same legend, Lord Vinayaka is the defender of truth and justice. The Bahuda River is considered auspicious since Brother Likhita found his hands, which were cut as a punishment. Therefore, even today, villagers and devotees bathe in the holy water of Bahuda River, often to prove their innocence in case of dispute, swear to the Lord of their truth. Devotees come for darshan at Sri Kanipakam Vinayaka temple to seek blessing of the Lord for a successful career, business, relationships and education. During the annual 20 days long festival of Brahmotsavam, which starts at Ganesh Chaturthi, the atmosphere of the temples becomes even more ecstatic, filled with piousness of mantras and lord’s blessings. 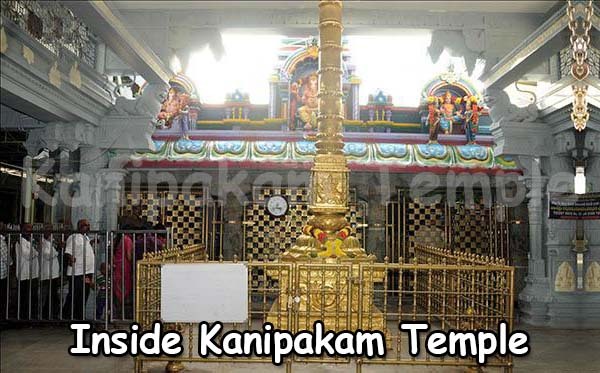 Kanipakam Vinayaka Temple timings are from 4 AM till 9.30 PM. To reach Kanipakam Vinayaka temple, devotees can travel to the chittoor town, from where it is about 10 km away. 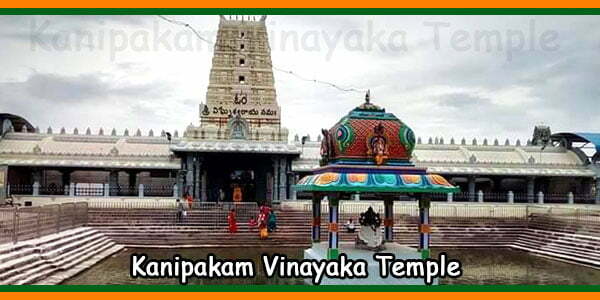 The distance between the Kanipakam Vinayaka Temple and Tirupati is close to 80 km. 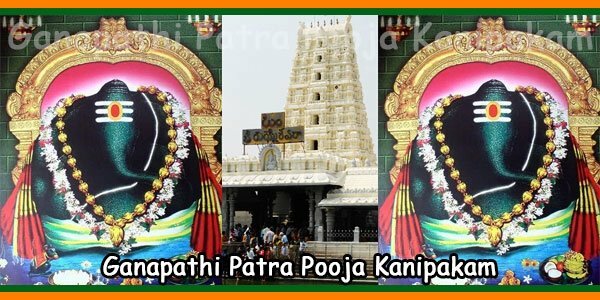 Many devotees plan their journey to cover Tirupati Balaji temple, Vellore Golden Temple and to Kanipakam temple during the same trip.